A home is the largest asset for most Americans. 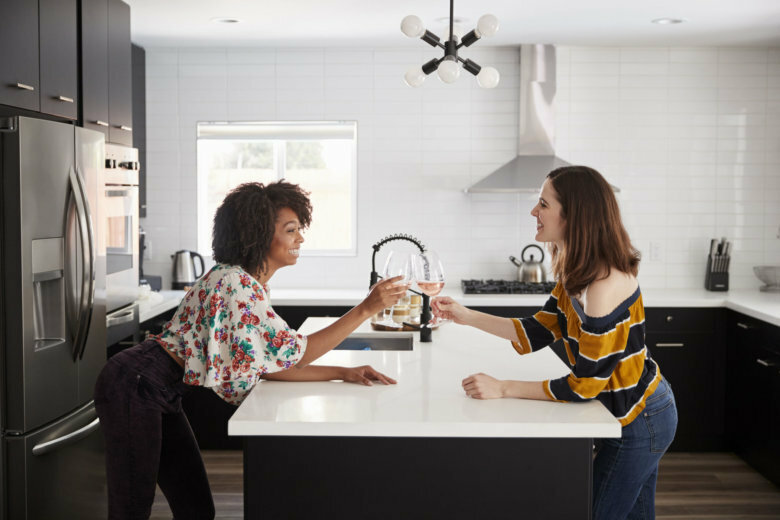 Not only is it where you live and make memories, tapping into a home's equity may provide the funds to cover large expenses with reasonable terms. WASHINGTON — A home is the largest asset for most Americans. Not only is it where you live and make memories, tapping into a home’s equity — the difference between what you could sell your house for and the amount you owe on the house — may provide the funds to cover large expenses with reasonable terms. Here, we explore five less common uses for home equity lines of credit, or HELOC, as well as some things to look out for. Before discussing ways to use your home equity, let’s compare home equity loans with home equity lines of credit. Both are loans secured with the equity in your home. A home-equity loan is disbursed all at once in a lump sum at a fixed interest rate for a fixed amount of time, usually 10 years or longer. By contrast, a home equity line of credit is more like a credit card. While you can draw the entire line of credit all at once, you typically make partial intermittent draws. The interest rate is variable, and you are only charged interest on the amount of the credit line that is outstanding. You have the ability to pay the line of credit down and then use it again without reapplying, just as you do with a credit card. HELOCs are a good choice for short-term projects and those requiring intermittent influxes of cash. Home equity loans and HELOCs should be used with caution since defaulting could cause you to lose your home. If you plan to purchase a new home but need the proceeds from the sale of your current home to make a down payment on the new home, then a HELOC may be a good alternative. Taking out the HELOC on your current home would allow you to remain in your home until it sells. Be sure to secure the HELOC on your current home before placing it on the market, since lenders will not allow you to place the HELOC on your home after it is listed. This alternative is especially attractive in a buyer’s market when selling times are protracted. If you’re planning to build a new home while continuing to live in your current home, a HELOC can be an attractive alternative to a construction loan. Construction loans typically demand higher interest rates than home equity loans and are more difficult to qualify for. In addition, a HELOC offers you the advantage of only borrowing what you need as construction proceeds. Note that if you take out a construction loan instead, the lender will require routine inspections to ensure construction is proceeding as planned. The average cost for long-term care in the U.S. in 2016 was $225 a day for a semiprivate room in a nursing home. If your loved one requires long-term care but neither of you has the funds set aside to pay for it, consider a HELOC. Using a line of credit gives you the flexibility to draw only what you need and is well-suited to pay for long-term care costs since you don’t know how long you will need the funds or how much you will need. Coming up with the funds to start a business can be challenging. Using a HELOC allows you to draw only what you need at a favorable interest rate. It is also easier to qualify for a HELOC than for other business loan startup options, such as a Small Business Administration loan. Should you choose to use a HELOC to start your business, secure it while you still have income from another source. You may even want to line up a HELOC as backup when you first launch your business, even if you don’t currently need the funds. If you don’t have sufficient funds set aside to pay for a loved one’s college education, consider using a HELOC to fund this expense as well. As in the previous examples, using a HELOC allows you to draw only what you need, and HELOC rates are often more favorable than the rates for a Parent PLUS loan. According to Sallie Mae, Parent PLUS loan rates range between 5.62 percent and 12.87 percent. According to Bankrate, the national average HELOC rate on Sept. 26 was 5.47 percent. Keep in mind that federal student loans can be deferred and also offer other protections that are not available to HELOC borrowers. If you’re interested in accessing your home equity for any of these uses, note that HELOCs lost some of their tax benefits starting in the 2018 tax year. The new tax law also reduced the deductibility of home mortgage interest from $1 million for married filing jointly taxpayers to $750,000. All this means that if you utilize a HELOC for any of the purposes mentioned above, you will not be allowed to take a tax deduction for the interest you pay on the line of credit. That said, HELOCs remain useful for those with substantial home equity who need funds either for a limited period of time or at an interest rate that falls below other sources available to them. Dawn Doebler, CPA, CFP®, CDFA® is a senior wealth adviser at The Colony Group. She is also a co-founder of Her Wealth®. Kittye Tilford, MBA, CFP® is a wealth adviser at The Colony Group’s Denver, Colorado, office.